Contact me about what you are interested in and we can make it happen! Read more about the types of packages and pricing offered below! Portrait sessions include ALL of your hand edited digital images with a print release! Sessions are completed and delivered 10 days from your shoot date and previews within 3 days of your session! We are excited about our fast turnaround in 2019! At the studio, we have a team to consult and guide you from start to finish in planning your session. This includes outfit and session preparation prior to our reserved appointment date! We are here to brainstorm and come up with fun and exciting new ideas! During your session with us, you can expect movement, laughter with lot’s of candid snuggles We aim to capture life as we see it enclosing a few small controlled moments in between. Portrait sessions can range from 1 hour to a custom amount of time. Birthday parties, anniversary events, etc. Outdoor sessions are generally shot during golden hour! This is the time window of that gorgeous golden light during sunrise or right before sunset! All sessions require a $50 retainer that must be paid upon booking to hold your appointment date and time. The remainder is due at the time of your session. Inquire for special pricing or promotions! We LOVE Mini sessions. These are styled, seasonal sessions that occasionally take place throughout the year! We have events often posted on Facebook! Please follow us on social media to get the latest, up to date info on upcoming mini sessions, events and special promotions! Senior sessions are creative and unique to each personality of our seniors! * Start session off with a complimentary head shot in studio. * Up to 2 full hours shooting time. * Multiple locations within a 20 mile radius of each other. Optional session breakdown - For an additional $50, you will have the option to break your 2 hour session into separate 1 hour sessions on different dates. People often do this when they are wanting different seasonal photos, changes to their look, or far away locations that cannot both be covered in one session… This is becoming very popular! Inquire for special pricing or promotions! *An additional fee for travel may apply if outside of our area. Inquire for more information! Our Wedding Collections include ALL of your hand edited digital images with a print release! Weddings are completed and delivered 3 weeks from your wedding date and previews within 3 days of your wedding! A full wedding blog is posted a week from your big day as well. We are excited about our fast turnaround for 2019! A custom designed Wedding Album, Engagement Session and USB are included in all of our Wedding Packages. We work with all of our brides to create a package that best suits their wedding day needs. We have pricing with our most popular packages available upon request. To book with us, we require a 20% deposit of your wedding day balance along with a signed contract. The remainder is due two weeks prior to your wedding date. Engagement Sessions are complimentary in any Wedding Package and include ALL of your hand edited digital images with a print release! Sessions are completed and delivered 10 days from your shoot date and previews within 3 days of your session! We are here to consult and guide you from start to finish in planning your session. This includes outfit. location options and session preparation prior to our reserved appointment date! 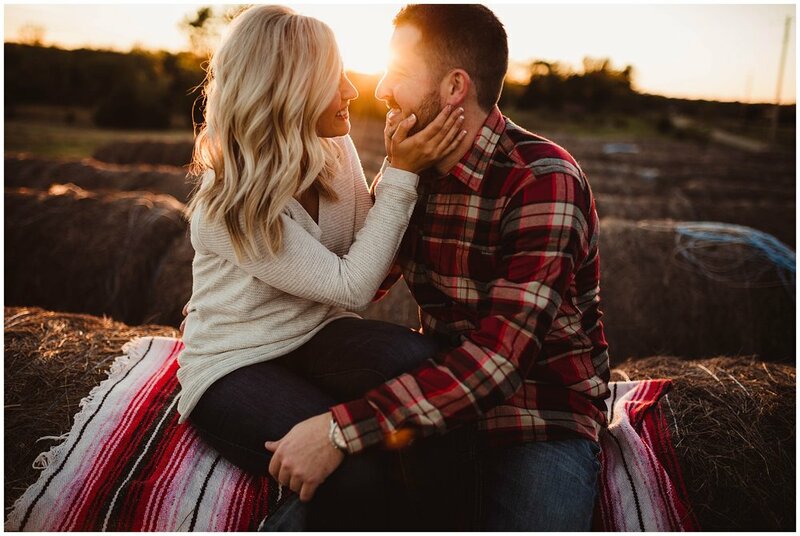 Engagement Sessions with Molly Harmon Photography are very candid and fun. Catching you off guard and in the moment is what we do. LOTS of laughter included! Engagement sessions can range from 1 hour to a custom amount of time. Outdoor sessions are generally shot during golden hour! This is the time window of that gorgeous golden light during sunrise or right before sunset! Newborn sessions include everything above as mentioned with the Portrait Session. In-Studio sessions last anywhere from 1.5-2 hours with our Newborn clients. We work around your baby’s sleep and feeding schedule and work to achieve that sweet spot sleepy state to capture a lot of the newborn poses. This includes props available in the studio along with plenty of hats, headbands, wraps and some outfits to choose from. This is more of a controlled, posed session, working with baby both on the floor in baskets and other props and also on our posing bag. Family shots are welcome towards the end of the session. Have a sibling? Let’s chat about ideas and how best to accommodate that with your little one. Inquire for special pricing or promotions! Ask for baby bundle discounted rates and pricing! Newborn Lifestyle sessions include everything above as mentioned with the Portrait Session. In-Home Lifestyle sessions are more candid and are generally 1 hour in length. We work around your baby’s sleep and feeding schedule, like we do for studio sessions, and work to achieve that sweet sleepy state. This allows us to work with the baby while incorporating some candid snuggles with your family. We will shoot around requested areas in the home. Generally the nursery, living room and/or master bedroom. *An additional fee for travel may apply if outside of our area. Inquire for more information! Ask for baby bundle discounted rates and pricing! Studio sessions are great for little ones and siblings. We have a variety of options for backdrops and props. Send us a message and let’s chat ideas! We want to brainstorm with you! I look forward to chatting more with you!